He spent two decades with a chain strung through his nose and deserves so much better. When Rangila was rescued in January after spending two decades dancing for tourists, everyone thought his hard life would finally get better. Unfortunately things just got worse. The 19-year-old sloth bear was born in the wild, but was stolen from his mother when he was just a cub and sold into the entertainment trade. The animal trainer who bought Ranglia pierced his sensitive snout with a hot needle and threaded a rope through it. Then he forced Rangila to “dance” on the streets, yanking the rope to make him move on cue and perform tricks. Forcing bears to dance has actually been illegal since Nepal passed an animal welfare act in 1973. Yet Rangila’s trainer had found a way to keep operating illegally by staying away from tourist hotspots and busy towns. He did this for nearly two decades. 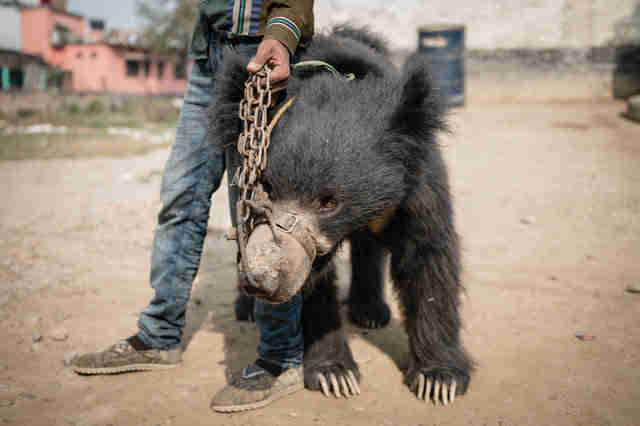 In January, rescuers from World Animal Protection (WAP) and the Jane Goodall Institute (JGI) of Nepal managed to rescue Rangila, along with Sridevi, a 17-year-old female sloth bear who’d also been forced to dance on the streets. 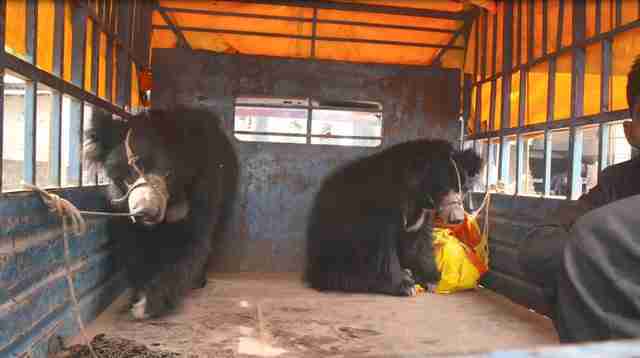 Working with local authorities, the rescue team tracked down the trainers, and convinced them to surrender Rangila and Sridevi. 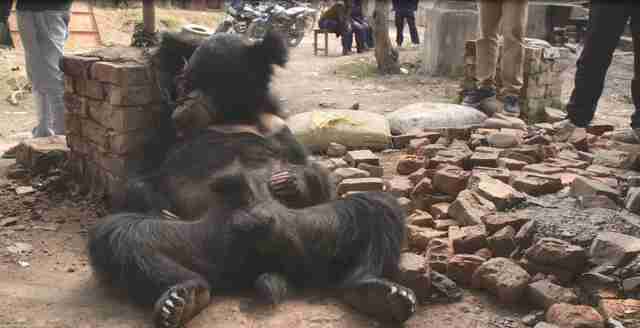 After that, the rescuers arranged for the bears be transferred to the Wildlife SOS Sanctuary in Agra, India, where bear specialists would look after the animals’ physical and emotional well-being and let them retire in peace. 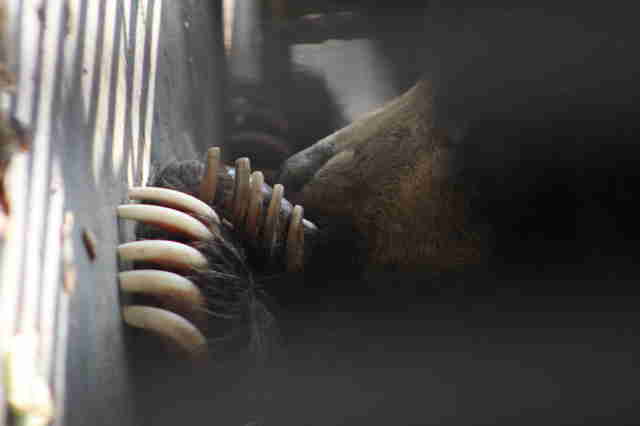 The first stop on the bears’ journey to India was Parsa National Park in Nepal, where Rangila and Sridevi would be temporarily held at an on-site facility until they could safely cross the border to India. As soon as they entered the forested roads leading into the park, the bears seemed to calm down. But Rangila and Sridevi never made it to the sanctuary in India. 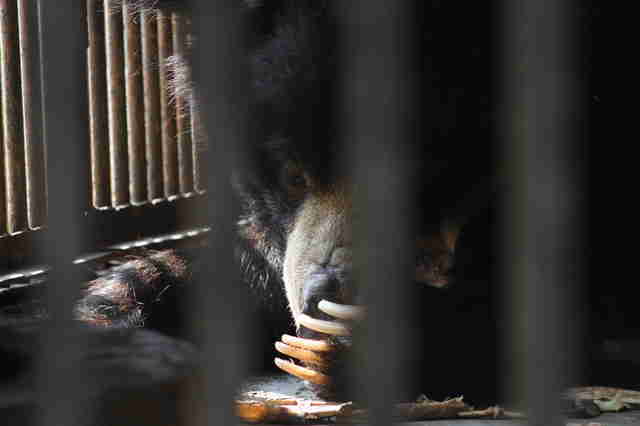 On March 1, D’Cruze learned that they’d been secretly moved Central Zoo in Jawalakhel, Nepal, the country's only zoo, which is notorious for its lack of animal welfare standards. D’Cruze and the team immediately started an investigation, but they still haven’t figured out when, how or why the bears were transferred to Central Zoo, which has been very frustrating to D’Cruze. 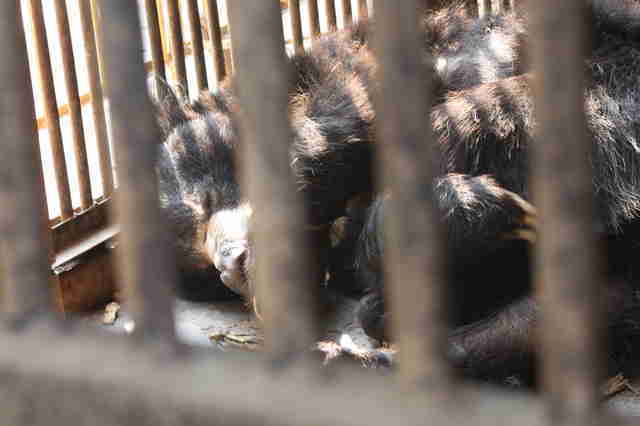 However, they did find out that Nepali officials working in Department of National Parks and Wildlife Conservation are the ones responsible for the bears’ transfer to the zoo. They did this without consulting WAP or JGI Nepal, D’Cruze explained. They also got the upsetting news that Sridevi recently died at the zoo — but they don’t know the cause or any further details at the moment. Zoo and government officials in Nepal have assured D’Cruze that Ranglia is alive and doing well, but D’Cruze isn’t convinced. 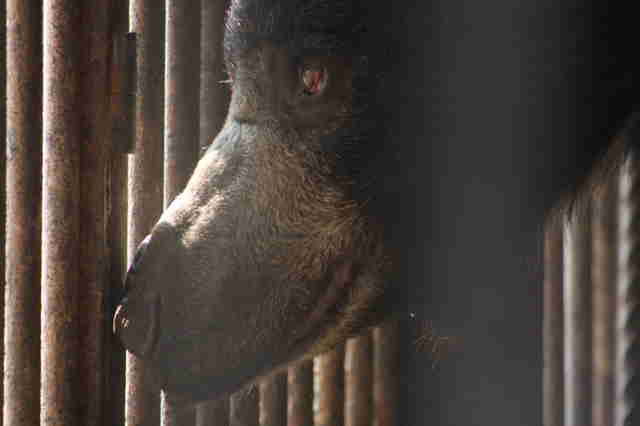 Recent video footage shows Ranglia pacing back and forth in his tiny cage, looking deeply distressed and psychologically traumatized. D’Cruze and the team are determined to rescue Rangila — again — and get him to the sanctuary where he was supposed to go to in the first place. While progress has been agonizingly slow, D’Cruze believes the key to Ranglia’s safe release from the zoo is placing pressure on the Department of National Parks and Wildlife and the Ministry of Foreign Affairs in Nepal. The situation is very urgent as they don’t want Rangila to die at the zoo like Sridevi, D’Cruze explained. “Every hour that passes by is heartbreaking,” he said. Yet D’Cruze remains hopeful, and he believes that Rangila’s life can be saved. “Rangila has had such a terrible life so far, and we’re so close … we have to stay positive,” he said. To help Rangila, contact the Ministry of Foreign Affairs in Nepal, as well as the Department of National Parks and Wildlife, and urge them to help them get Rangila out of the zoo and into the sanctuary. WAP is also encouraging the public to write social media posts about Rangila and tag the Ministry of Foreign Affairs.